This 1970’s 30×35.5mm. 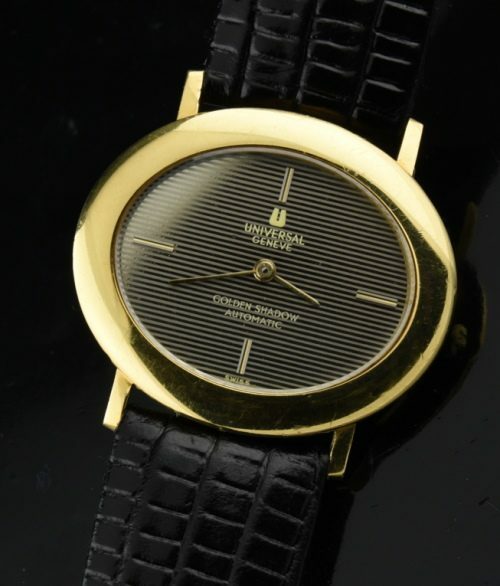 Universal Geneve Golden Shadow is a men’s watch, and a subtle mid-size. The case is solid 18k. gold. The shutter dial is original and very attractive. 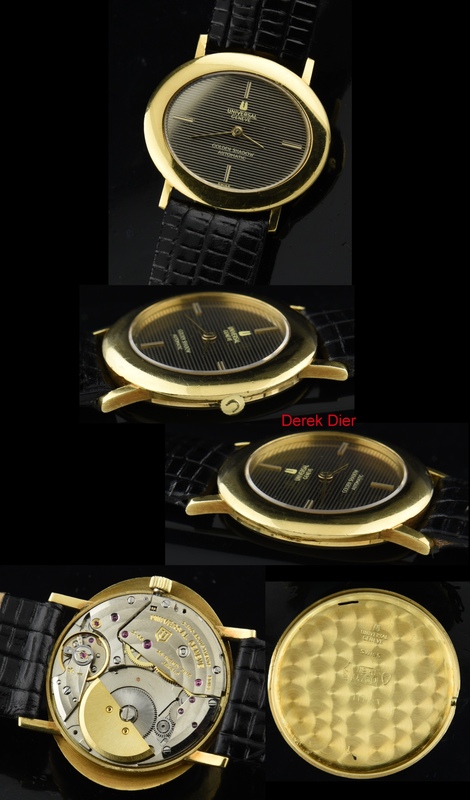 The very fine Universal Geneve automatic winding movement with gold rotor was just cleaned and is accurate. The original crown is present. There are no major dings or scratches. This case has not been polished in order to preserve the original condition. This Universal is suitable for either a man or woman.